Please select options for Barricade Running Boards (15-19 F-150 SuperCab, SuperCrew) at the top of this page. What's going on, guys? I'm Alex from AmericanMuscle.com and this is my review and install of the Barricade Running Boards for the 2015 and 2016 F-150 SuperCrew and SuperCab. In this video, I'm gonna go over the construction and materials of these running boards as well as the installation, which we'll touch on later in the video. But right off the bat, I'm gonna give this an easy one out of three wrenches of the difficulty meter, and you should have these on your truck in about one to two hours tops. Now, if you're the owner of a 2015 or 2016 F-150 and you're looking for something a little bit more substantial than nerf bars or side steps, I would definitely suggest taking a look at these running boards as you're not only going to be protecting your investment, but you're going to be making it considerably easier getting inside and out of your truck. So, in terms of the construction of these running boards, we're gonna see that they are comprised of lightweight aluminum as well as having a very sturdy, thick, rubberized pad on top which you can see is gonna run the length of the cab to ensure that your foot stays on this running board where it belongs, getting in and out of your F-150. Now, like I had said, it's definitely gonna be a lot easier getting in and out of your truck, but you can rest easy knowing that these running boards are going to protect your investment from anything from door dings, obstacles on your daily commute, or even some light off-roading. As far as the installation goes here, guys, this is gonna be a true bolt and install, which means that no cutting or any type of modification is going to be required. And again, I'm gonna give this a very easy one out of three wrenches on difficulty meter as you should have these on your truck in about one or two hours. Now, before installing these, I would make sure that you do have a basic socket set, a torque wrench, as well as a HexPad set. And while it's not necessary, it always is helpful to have a second set of hands around just to throw these on your truck. 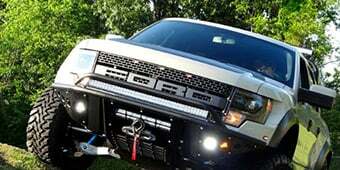 Now, like most nerf bars and side steps, these running boards are going to install, utilizing your factory mounting points on your F-150 which can be found on the interior side of your rocker panel. All in all, as I said previously, you should be looking at about one to two hours tops to get these installed in your truck. All right guys, so, in terms of pricing here on the Barricade Running Boards, we're going to see these fall in line right around the $200 price mark. And I do wanna add that depending on your cab size, the price can fluctuate, I do wanna add that shopping these in comparison to some alternative options be it from Weston or Lund, which can easily tip the scales to close to $600. 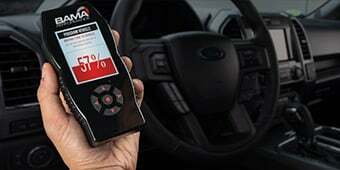 these are definitely a bargain, in my opinion, and I would highly suggest them for your F-150. 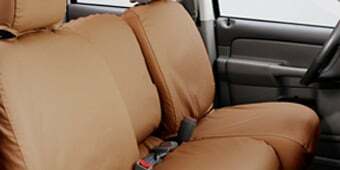 All right, so just to wrap things up here, if you're an F-150 owner and you're looking for something a little bit more substantial than a nerf bar or a side bar, as well as looking to make the size of your car pop, protecting your investment, and above all make it considerably easier getting in and out of your truck, I would definitely recommend checking out the Barricade Running Boards for your 2015 and 2016 F-150 right here at AmericanMuscle.com. Dual Function. 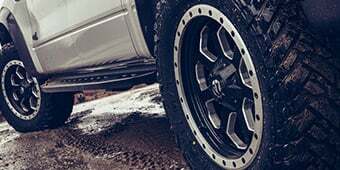 Barricade Off-Road's Running Boards will give your F-150 a clean stylish appearance, while providing a convenient step for easy entry into and out of your truck. 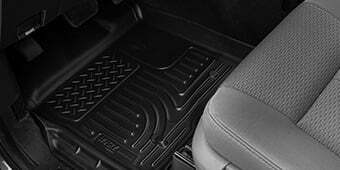 Plus, these aluminum Running Boards also double as additional protection against brush, trail hazards and even dreaded door dings. Quality Construction. Barricade's Running Boards are manufactured from light weight aluminum for superior strength and durability. These Running Boards also feature black non-slip rubberized step pads, that provide extra safety getting in and out of your truck. Easy, Bolt-on Installation. These F-150 Running Boards are engineered to be a direct bolt-on upgrade using just basic hand tools, so there is no drilling or cutting required for a clean straight forward installation. All of the necessary hardware is included for installation, making this an easy job for anyone to complete. Application. 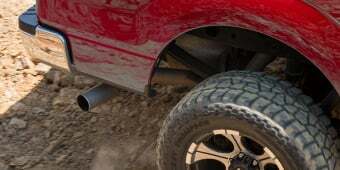 This pair of Barricade Off-Road Running Boards are specifically designed to fit all 2015 to 2019 SuperCab and SuperCrew F-150s. 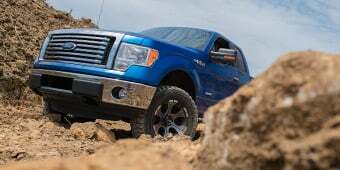 Will they fit wheel well to wheel well on a 2016 F150 Super cab? These will not fit wheel well to wheel well as these will span the length of the doors. 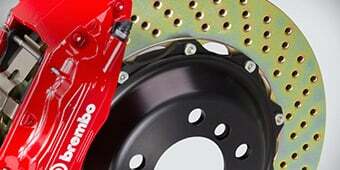 For this reason, we have options for SuperCab and SuperCrew trucks. How wide are these running boards? The Barricade Running Boards (15-17 SuperCab, SuperCrew) are going to be in between 4" and 4.5" wide. what is weight limit on these running boards? The Barricade Running Boards can handle up to 350lbs. The price says each, does it mean they are sold individually or comes as a pair?? This kit will include a pair of running boards. One driver side and one passenger side. They come with 8mm lock nuts to mount the brackets to the 3 studs on the body, is this the correct size nut? this metric would not the studs be standard? They don't start easily. These will indeed come with the correct size nut for installation. Barricade does offer a 3 year limited warranty on this item. These do have a protective coating, but we also recommend waxing them with a light wax to protect the finish. The mounting brackets would match up to the 3 body studs on your truck yes. If the Barricade Running Boards are prepared properly that should make them much easier to paint. We would highly recommend speaking to your local body shop regarding preparation for paint. 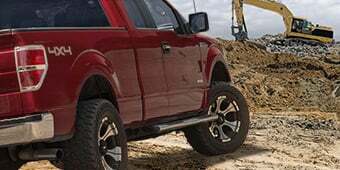 The Barricade Running Boards will have the driver and passenger side indication marked on the boards providing which side for you when installing them onto your F150. The Barricade Running Boards will fit 2017 F150's that have a Super Cab or Supercrew Cab, however, it will not fit a regular cab. I’ve been very pleased with the quality of these running boards! The stepping area is much larger than my prior step bars, which helps a lot during winter. Very pleased. The look great. Went on quickly and simply (installers weren't in best of conditions but they managed). Makes getting into our truck a lot easier. Love the look our running boards give to our truck, and very easy to install. Very easy to install. Took less than one hour with my wife’s help. Very sturdy and my wife loves them. Really adds to the trucks looks and make it easy to enter. I love my purchase! Great customer service!! Thank you!!!! 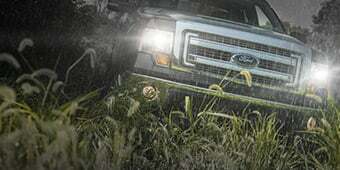 I just recently became the owner of a brand new Ford F150, my dream truck, until I can afford a 350. But these running boards really serve a great function and make my truck look great. Love em. These running boards looks awesome on my truck ... I love the look it gets it . Installed easily with no problems. They look great and work well. Well to start I had the item the second day after I ordered it,was impressed how fast the delivery was. Now about the item looks good and does it job. Easy installed and a great price. Running boards are easy to install and lightweight! Look good on white F150! fit perfect, good instructions, no problem, look good, just as described. Really like them a lot. Even the wife is happy with them. These were exactly what I was looking for on my F150. My wife wanted a step to help her get in the truck, and I wanted something a bit different from the usual step bars. These have a really nice appearance and good non slip pads. The rubber seal that goes up to the cab really finishes off the appearance nicely. Installation couldn't be much simpler. I had them on and adjusted in about an hour. Just read through the instructions before you start and it will become obvious how it goes together. Very nice, I would highly recommend! Great product, really easy to install. As described, very straight forward on the installation instructions. I was able to install by myself in about an hour and a haft. Was a present for my brother. He absolutely loves it.